Israel and South Africa – the rot continues! Israel’s relationship with South Africa must be an enormous embarrassment. 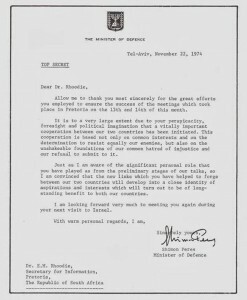 The Israeli government had aligned itself strongly with the old Apartheid regime, supplied the white supremacists with arms and identified strongly with them in their struggle, as can be seen from Shimon Peres’ letter (below) to the South African Minister of Information back in 1974 (click to see it full size). 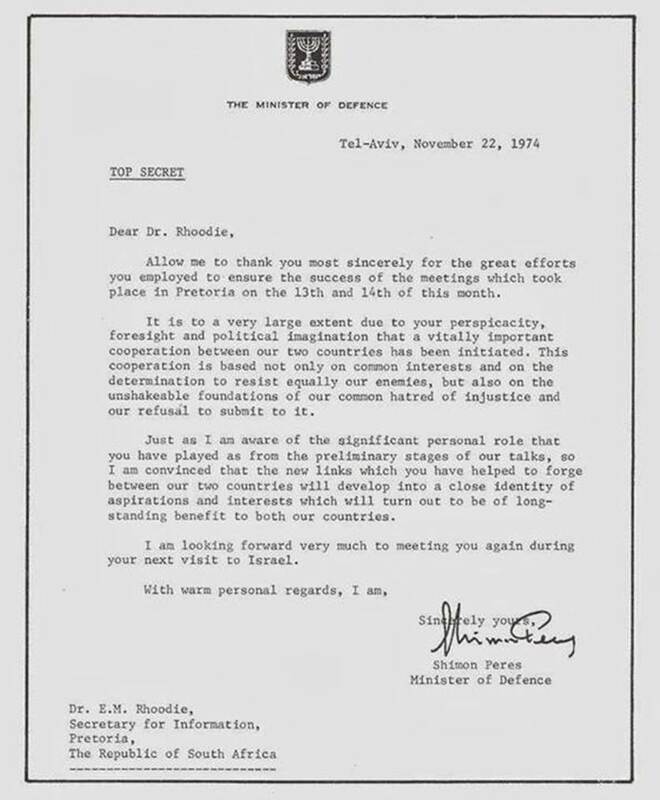 Israel never welcomed the transition to South African democracy, most obviously because their new President was openly critical of the Palestinian occupation. Even so, as Uri Avnery points out below, Israel’s failure to make serious representation at Mandela’s funeral has taken the Jewish state to a new low in terms of its international isolation! Tags: Africa, Avnery, father dave, israel, Nelson Mandela, Palestinian, South Africa, South African, uri avnery. Filed under israel and palestine articles by Father Dave on Dec 15th, 2013.